What do you do when you do almost everything right, and it still comes out wrong? That was the story of the Buffalo Sabres on Saturday night in question form. 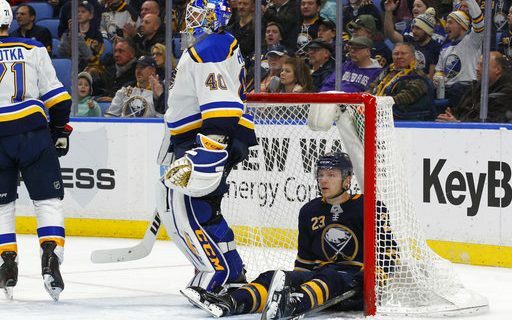 The Sabres knew they had to be at their best in order to have a chance to beat the St. Louis Blues, who came into the game with a fine 31-19-3 record. They knew they had to play good defense, get the odd outstanding save, and put themselves in a position to win the game. The Sabres did all that. It might not have provided edge-of-the-seat excitement, but the team executed the gameplan quite well. Yet the Sabres still went home with a 1-0 loss that was more frustrating than encouraging. It was a peculiar night for the 18,777 in attendance. How many games are there where there are virtually no chances to let out a big cheer the home team, even when it is generally acknowledged that it played well? Obviously, there was no reason to shout when a Buffalo goal was scored, because none were. The Sabres only needed to kill off one penalty, and that was in the first period. Robin Lehner had a few great saves, including two with a 15-second-or-so span, but that was moderated by the fact that the Blues were allowed to get such golden opportunities. So the cheers for the veteran netminder were moderated by a sign of relief. Lehner, naturally, can’t do much about offensive support he gets. The veteran has been playing well for a couple of weeks. It would be an oversimplification to say this game came down to a few inches, but not a large one. The first instance came with 5:41 left in the third period, when the Sabres lost a faceoff in their own zone. The puck floated back to Blues’ defenseman Carl Gunnarsson, who took a quick shot through the goal. Sometimes shots have a funny way of finding openings, and this one missed everyone on its way to hitting the goalpost and dropping into the net. “I know I saw it late,” Lehner said. “I lost it in a few bodies. It was a good shot in traffic. 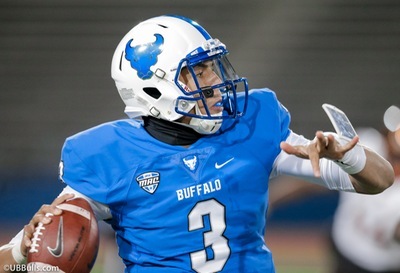 At least Buffalo had some chances to tie the game. Gunnarsson contributed to the Sabres’ cause by taking an interference penalty with 2:26 left. One such opportunity came with less than 30 seconds left. Sam Reinhart had all sorts of net available, but goalie Carter Hutton got a toe on the low shot to preserve the lead. Maybe that’s why his goals-against average entering the game was a microscopic 1.70, with a save percentage of .945. “I got a good look. I’ve got to find a way to put that behind him,” Reinhart said. Then in the last couple of seconds, Buffalo’s Rasmus Ristolainen got all of a shot from a step inside the middle of the blue line. It resulted in another loud clang – but this one resulted in the preservation of a St. Louis victory instead of the tying goal. Ever see 18,000+ heads look up to the rafters at the same time, all thinking “if only”? Much of the momentum from the undefeated road trip is about gone, as the Sabres have lost three straight on home ice. Buffalo will try to build on its defensive performance when it continues its stay at the KeyBank Center on Tuesday against Anaheim. Who are the top prospects to be traded at the deadline? Evander Kane is one, according to Josh Brewster.